We have different paths to take, different crisis to solve. Sometimes, problems comes in different form and sometimes it's too hard that we don't have the heart to handle them by ourselves. Others find solace on knowing that their family is out there to support them on whatever problem they would encounter in their life. Some let their feelings out through music. With the gift of writing and composing, they express their thoughts through a song, just like tom verlaine, he advocates keen and unusual guitar sounds and become famous on the early post punk era. He made several albums that makes a huge hits but even if he becomes influential and his music was successful, he rarely reciprocates this attention and remain silent thus creating an impression that he was indeed a loner and through his lyrics, he tries to tell the listener all the thoughts he had inside his head. 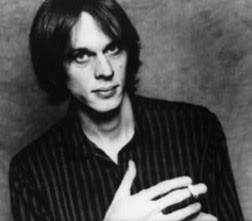 Tom Verlaine will always be the man behinds the successful music, even if he is rarely seen this days, his music will still be loved by many. I guess, that's what legend was all about.